Cooking with Amy: A Food Blog: Can-It-Forward & Canning Jars Giveaway! 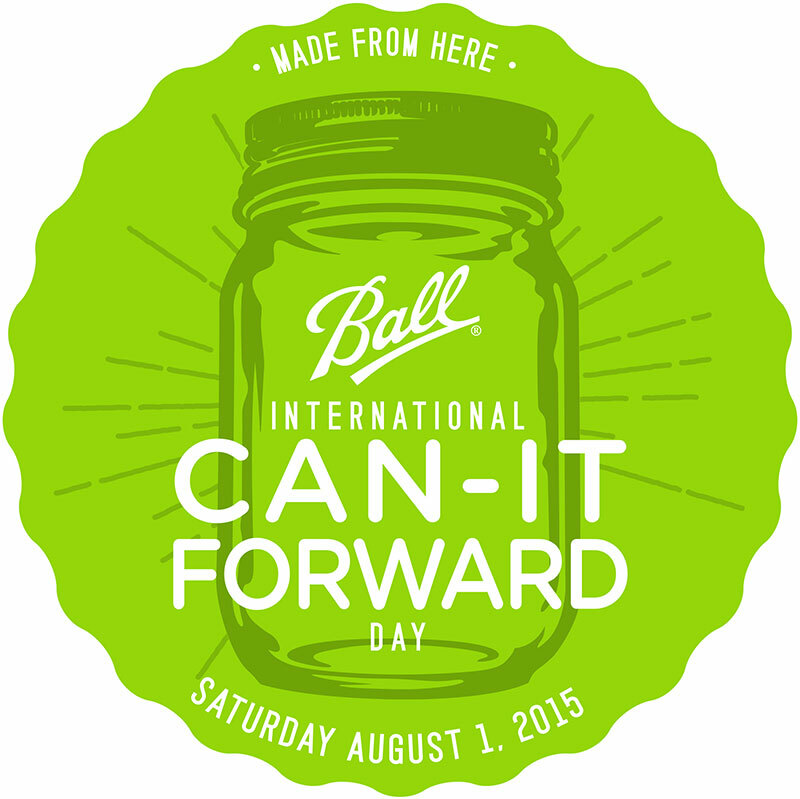 Can-It-Forward & Canning Jars Giveaway! Once again I’m participating in two events that dovetail rather nicely. This Saturday is Can-It-Forward day hosted by Jarden Home Brands and they have generously sent me some canning supplies and are offering a giveaway of a coupon for a case of Ball jars (see the end of the post for how to win). I’m also a “canbassador” for Sweet Preservation, helping to share the joy of preserving fresh fruit from Northwest Cherries and the Washington State Fruit Commission. Fresh fruit and canning supplies! It’s a match made in heaven. Jarden is the maker of Ball, my go to brand for canning supplies. I use their jars, labels, lids, bands and pectin. They are now making some additional colorful stuff like mix and match lids and bands and Sip & Straw lids for wide mouth jars. I’ve always been a fan of Ball canning supplies, they are readily available, well priced and the brand also offers some great resources, in particular their Ball Blue Book Guide to Preserving. While preserving is an ancient craft, there's new information practially every year. The guidebook is a resource I turn to frequently for technical information and tutorials as well as for recipes and inspiration. The current efition has 200 pages and over 500 recipes. Another resource is their canning website, Fresh Preserving. So what is Can-It-Forward day? Think of it as a reminder to go ahead and plan on preserving your favorite fresh produce in peak season. There will be a webcast with experts where you can submit home canning questions to be answered in real time. There will be recipe demos, a behind the scenes look at recipe testing and development and the science behind ensuring safety in home canning recipes and more. Tune in to the live webcast from 11:00am – 4:00pm EST. ...If you’d like to enter the giveaway, let me know how you would preserve peaches to enjoy later—jam, sauce, in syup. etc.—in the comments section. You must be a US resident to win and have a US mailing address. Include your email in the comments form, only I will see it. Contest ends August 1, 2015. Disclaimer: Jarden Home Brands supplied this giveaway and sent me canning supplies and Sweet Preservation sent me fresh fruit. I was not monetarily compensated for this or any other post on Cooking with Amy.